This is such a simple topic to discuss because the goal of this article on floor cleaning tips is to advise the best way to remove scuffs and black marks from a floor. Especially waxed or finished floors. Regarding floor cleaning tips on the removal of these marks, marks on a floor are a common problem that occurs to all floors and is an issue for all maintenance facilities managers. 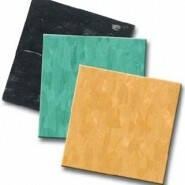 They are a distraction from the beauty of the floor and are unsightly for commercial accounts customers and visitors. The reason scuff and black marks occur on tile floors is a color transfer coming from the heels of shoes during foot traffic on the floor. It can also occur from carts, wheels, equipment, etc. However foot traffic is the primary cause for scuff and black marks. Sometimes these marks will penetrate the floor finish (wax) and damage the floor finish (wax). This causes the maintenance crew or homeowner to repair the floor finish (wax) which is costly. There are three primary floor cleaning tips for removing scuff and black marks from a floor. The most common and practical way is through scrubbing them off during the wet cleaning process. The best opportunity to remove these marks is scrubbing the floor with a cleaning machine such as a floor scrubber. But many times not all the marks are removed. The next way to remove marks from the floor is during the burnishing or buffing process. Many commercial accounts buff or high-speed burnish their floors on a daily or regular basis. Burnishing hones and/or buffs the marks away. The third way is manually removing the marks. This can be accomplished in a several ways including, using a hand pad or a tennis ball to remove the marks. As described above there are three ways to remove these marks form a floor. With that said, in a commercial building, the auto scrubbing and burnishing are most likely being performed on a daily or regular basis. So, these two ways of removing marks are being accomplished as part of routine floor cleaning maintenance. The best floor cleaning tip for removing floor marks for those stubborn marks that cannot be removed through the scrubbing and buffing process of daily cleaning can be completed manually with a Tennis Ball. That is right…a Tennis Ball!!! If you put the tennis ball on the end of a broom or mop handle the janitor does not have to bend over or get on their knees to rub the mark out. The best time to do this is during the dust mopping procedure which precedes the wet cleaning and burnishing steps. Another option is to use The Miracle Pad from Unichem Marketing to remove the marks. They make a pad that is the size of a Doodlebug Pad and can be used on the bottom of a doodlebug pad holder… This method along with the Tennis ball are the best ways for removing scuffs and black heels marks from a floor.